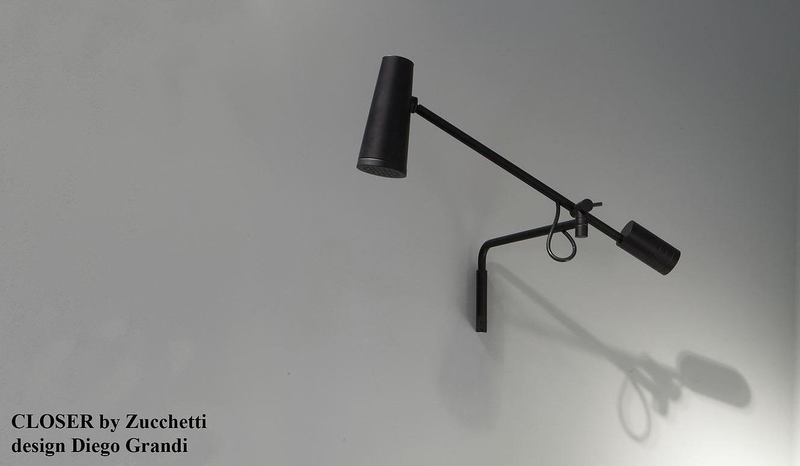 HomeBlogHome DecorCloser Showerhead by Diego Grandi for Zucchetti Kos. Closer Showerhead by Diego Grandi for Zucchetti Kos. The Closer Showerhead is an eclectic concept for an unusual showerhead by Diego Grandi for Italian manufacturer Zucchetti Kos. 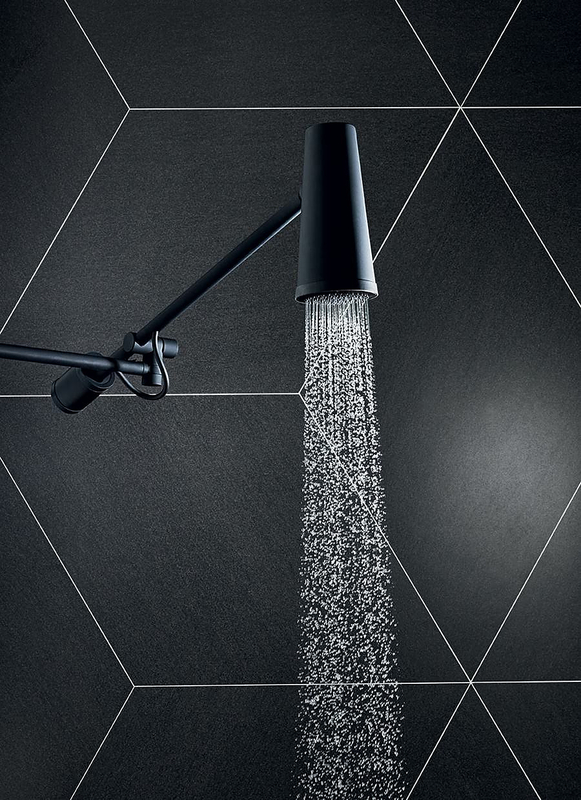 It is a peculiar design object, both poetic and essential, a more dynamic reworking of the traditional idea of the showerhead for total relaxation designed to suit the individual. 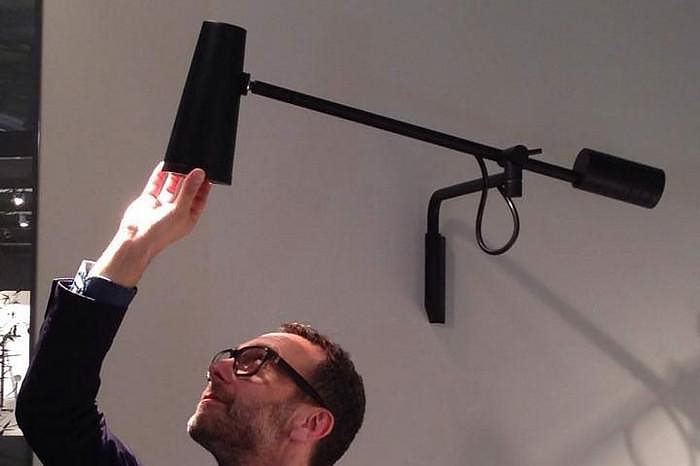 At first sight it looks like a wall mounted luminaire, yet it is in fact an adjustable shower fitting. 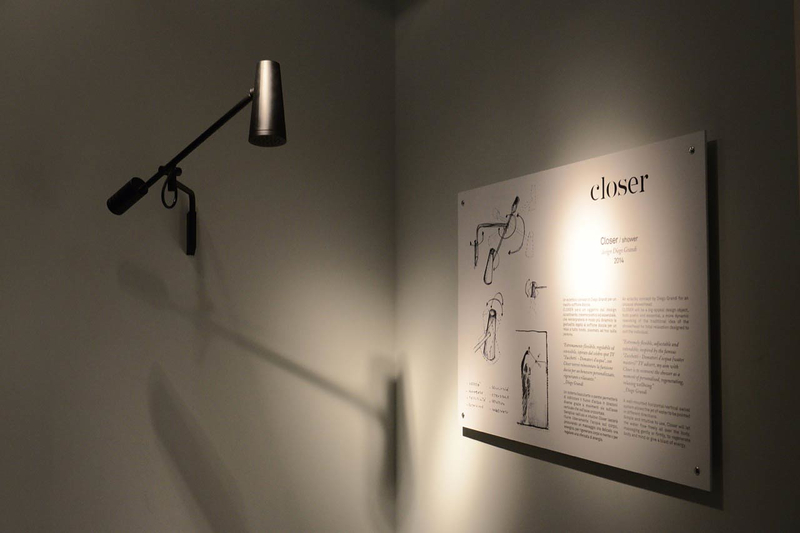 Yet apart from its interesting stylistic approach, the Closer Showerhead is also a very functional object. 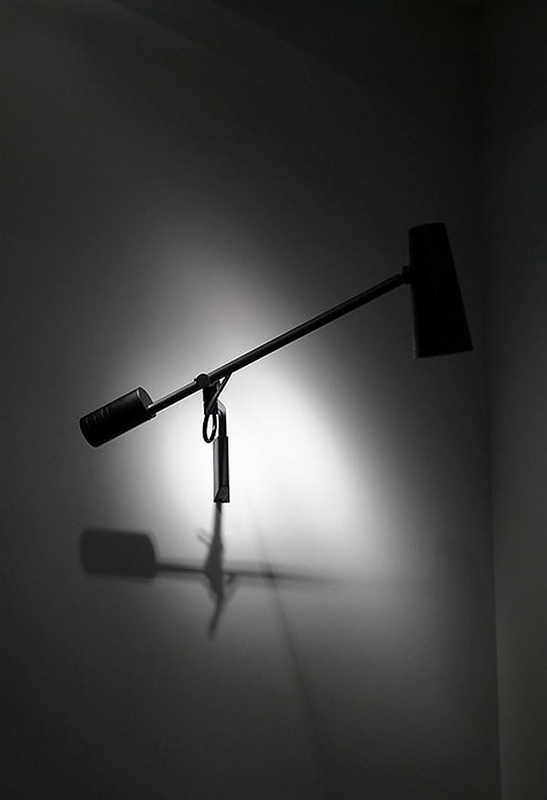 A wall-mounted horizontal/vertical swivel system allows the jet of water to be pointed in different directions. 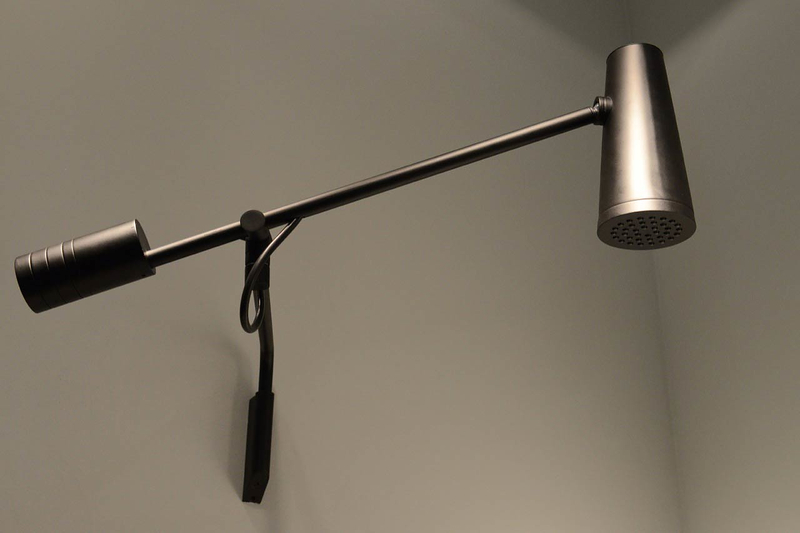 The various swivel points allow for precise tuning of the water flow angle, it also features a counterweight use to stabilize the showerhead to the desired angle. Simple and intuitive to use, CLOSER will let the water flow freely all over the body, massaging gently or firmly, to regenerate body and mind or give a blast of energy. Diego Grandi founded his own Milan based design studio in 2002, and his characteristic styling playfully references 20th century design modernism. He is a young and innovative designer, in some of his designs he is inspired by the work of famous Italian architect and industrial designer Gio Ponti. When asked which two persons he would love to work with on a fictive project, he answered: “George Perec and Max Bill”. Stilla Outdoor Shower by CΕΑ Design. Fantini Dolce Washbasin Mixer by Birgit Lohmann. Canali Modular Bathroom Faucet by Neve.